The illstrious Hawker Hurricane was one of Britain's finest and most successful fighter aircraft of the Second World War. It is arguably among the greatest single-seat combat aircraft of the era alongside its legendary contemporary, the Supermarine Spitfire, and its deadly adversary, the Messerschmitt Bf109. In the summer of 1940 Hurricanes of RAF Fighter Command won lasting fame during the Battle of Britain when they accounted for more enemy aircraft shot down than all the other defences combined. The Hurricane wen on to become one of Britain's principal fighter and ground-attack aircraft of the war period, fulfiling a wide range of contrasting roles. 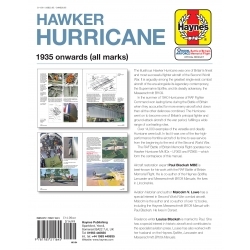 Over 14000 examples of the versatile and deadly Hurricane were built. In fact it was one of the few high-performance frontline aircraft of this time to see service from the beginning to the end of the Second World War. 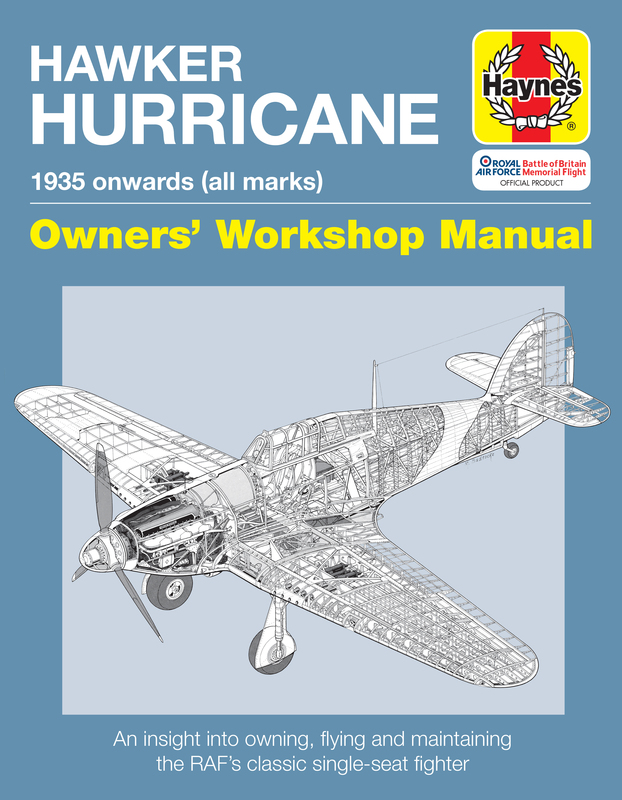 This innovative manual provides a close-up look at the Hurricane’s construction together with insights into what it takes to own and fly this classic fighter and how engineers keep it airworthy, as well as the historical background of the aircraft’s illustrious Second World War combat history. 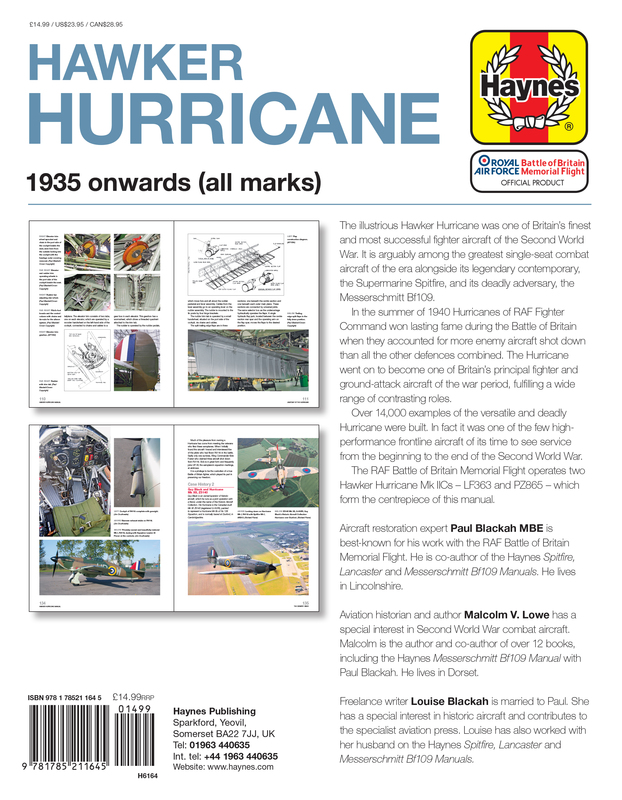 The RAF Battle of Britain Memorial Flight’s two Hurricane IIc models are the centrepieces of this manual. 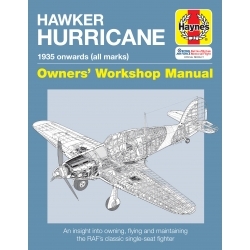 Author: Aircraft restoration expert Paul Blackah of the RAF Battle of Britain Memorial Flight is co-author of the Haynes Manuals on the Spitfire, Lancaster and Messerschmitt Bf109. Malcolm V. Lowe is an aviation historian, and co-author with Paul of the Messerschmitt Bf109 Manual. How do refurbished Hurricanes differ from their orginal state?